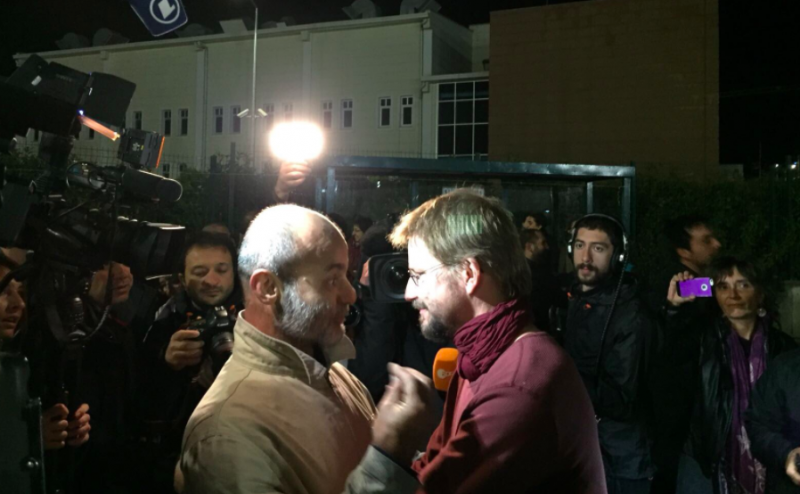 It was a long day in court for the Istanbul 10 on October 25, but one that ended with joy. Ten human rights defenders — including Amnesty International Turkey director Idil Eser — appeared in court on accusations of membership in a terrorist organization, after spending nearly four months in jail. The proceedings began at 10 a.m. local time, and ended around midnight with the release of all 10 defendants, pending trial. In an emotional statement outside the courtroom speaking to a group of journalists, German citizen Peter Steudtner thanked everyone for their support. “I am grateful, we are all really grateful,” said the stress management trainer.